RED-HOT Robert Lambert has revealed he wants to be back at King’s Lynn after rounding off an incredible season with another award. 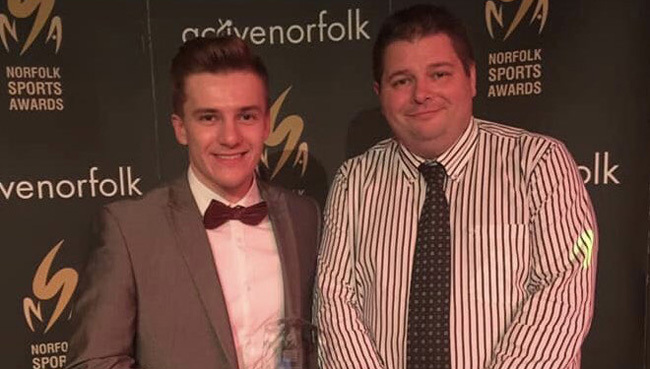 The British Champion picked up the Norfolk Sports Personality of the Year award on Wednesday night. It caps a remarkable 2018 as he landed the British title, British Under-21 title, Speedway of Nations runner-up and European Championship bronze. But the great news for Stars fans is that the sensational No.1 has got his heart set on a return to the Adrian Flux Arena. Lambert said after the awards: “I’m feeling great it’s obviously put a big smile on my face. I’m really pleased to have got this award. “It just caps off a brilliant season, it’s a great honour to be given such a prestigious award. “There’s a lot of sports men and women who have done some great things. It was a tough decision to get the top three for the judges. Lambert, who ended the campaign in heartbreak as the Stars missed out on the Premiership title and KO Cup finals, is clearly keen on a Stars comeback. He added: “It’s a long winter now and I need to train hard in preparation for next season, not only my own fitness but with machinery.